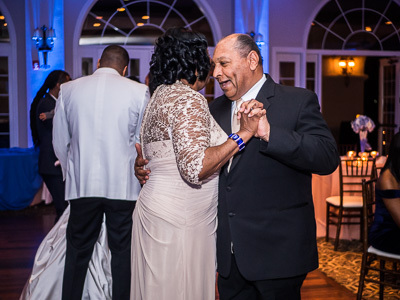 In 2014, Ramon and Mica met at a night lounge, and from there started their friendship. 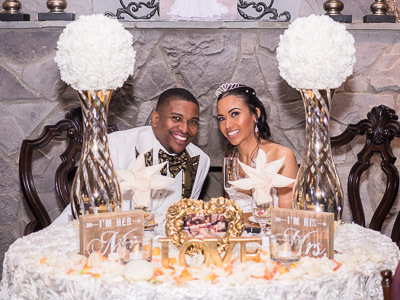 The couple officially started their relationship on December 11, 2015. 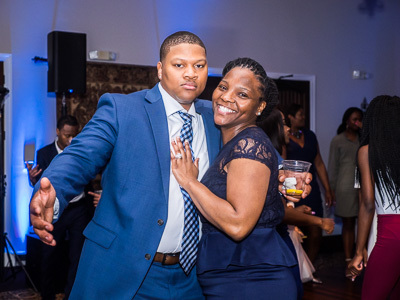 And on February 18, 2017, Ramon proposed to Mica in Savannah, Georgia, at the restaurant Elizabeth on 37th. 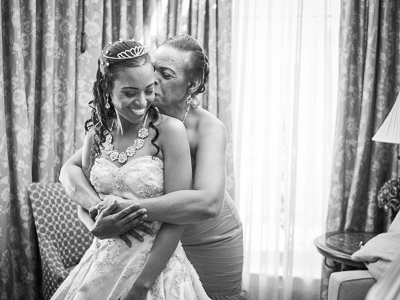 Mica was born in Alamogordo, New Mexico, on November 13, 1989. 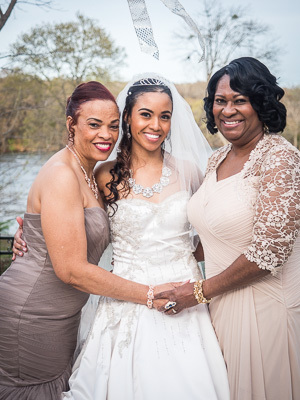 In 1998, her parents retired from the military and moved to Columbia, South Carolina. 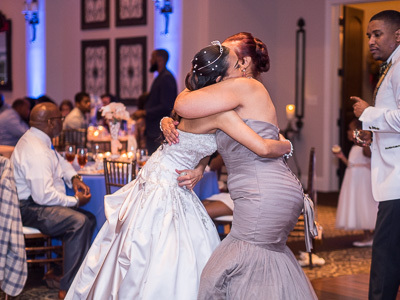 There, Mica attended elementary to high school. 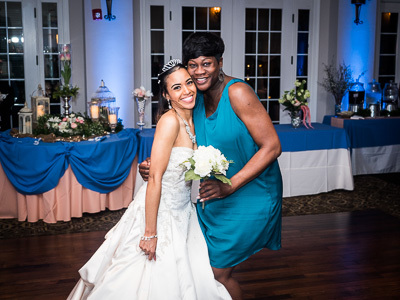 In 2011, she graduated from Francis Marion University with a Bachelor of Arts degree in Mass Communications. 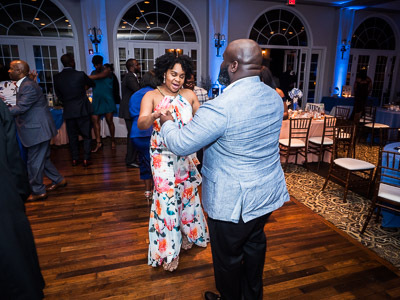 While working multiple jobs, Mica was hired by Palmetto Health and has worked her way to an Administrative Coordinator position within the Chaplaincy Department. 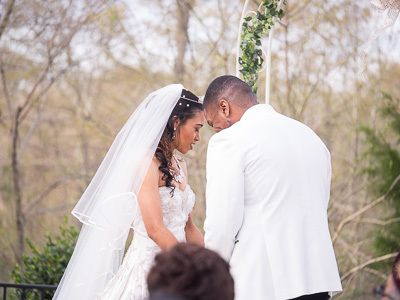 She has recently released her first inspirational single "Fighter', in January 2017, which can be downloaded from iTunes. 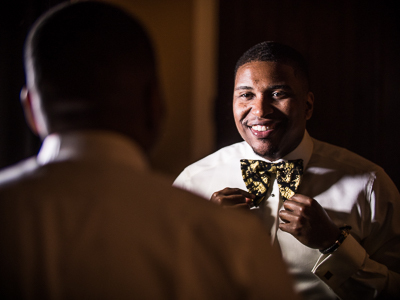 Ramon was born in Cleveland, Ohio, on September 16, 1986. 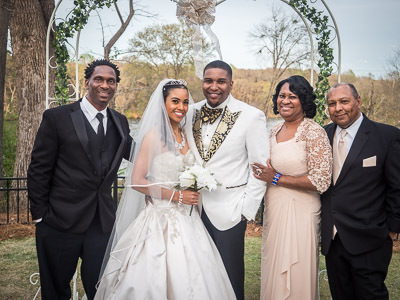 His family relocated to Ellicott City, MD in February of 1997, where he attended middle and high school. 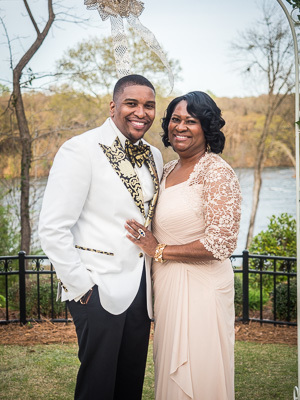 After moving to Columbia, Ramon attended Midlands Technical College and obtained his Business Administration degree from USC. 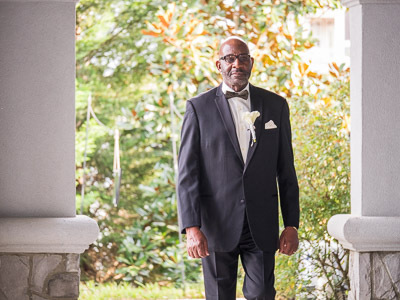 Currently he is employed by Blue Cross Blue Shield and has been a Mobile Agent for 5 years. 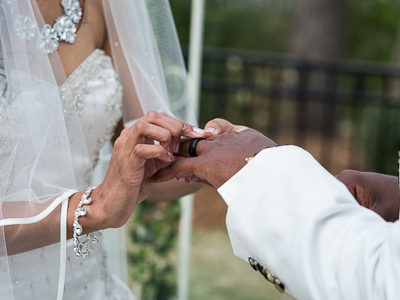 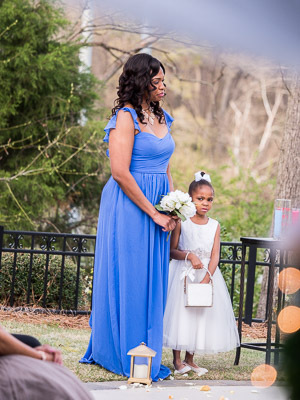 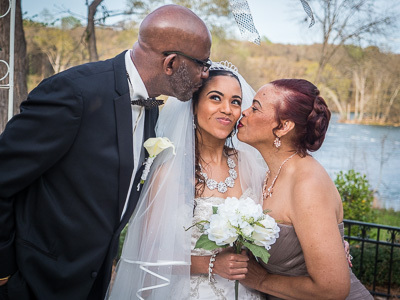 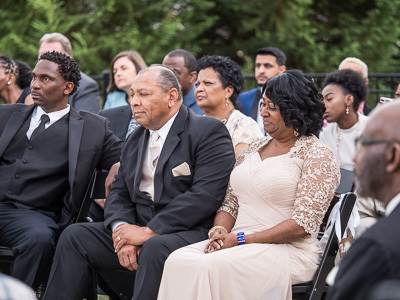 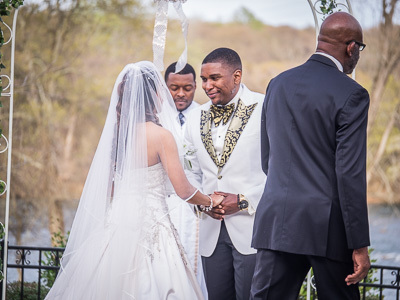 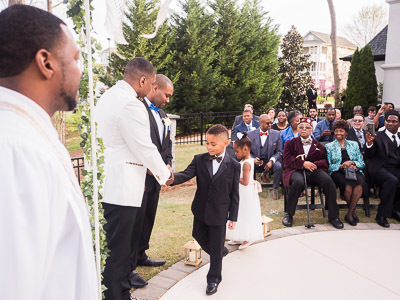 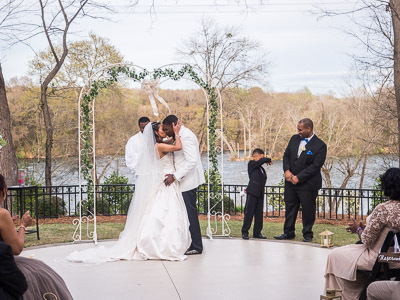 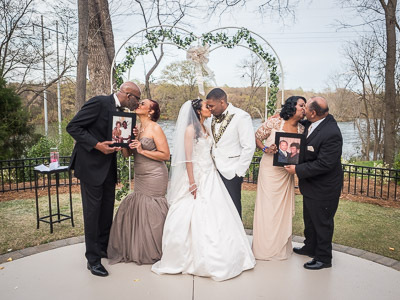 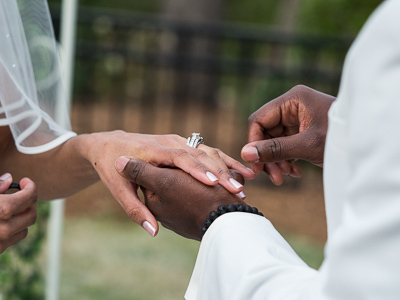 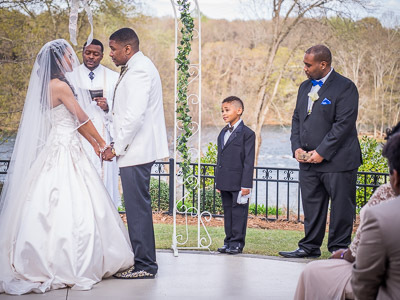 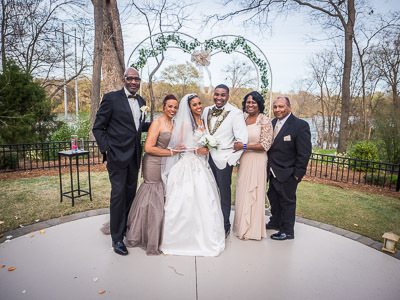 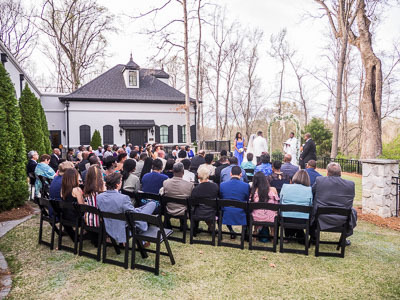 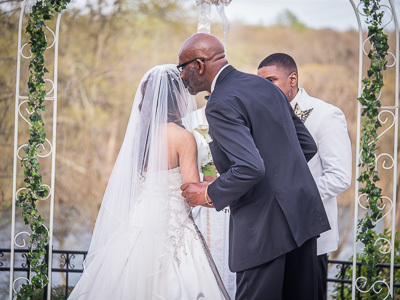 The ceremony was held at Brakefield at Riverwalk, in Rock Hill, South Caroline. 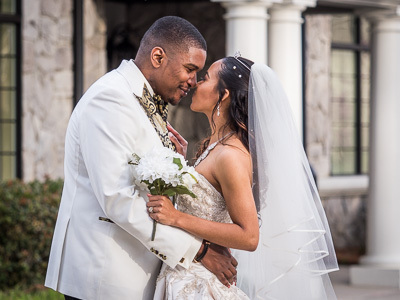 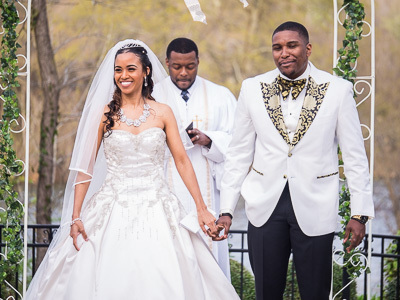 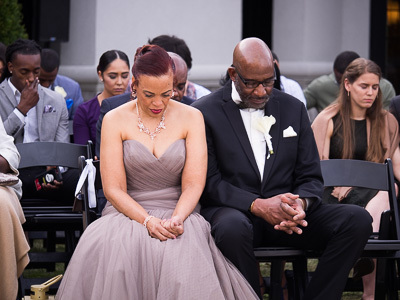 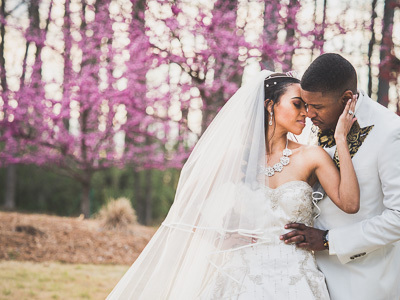 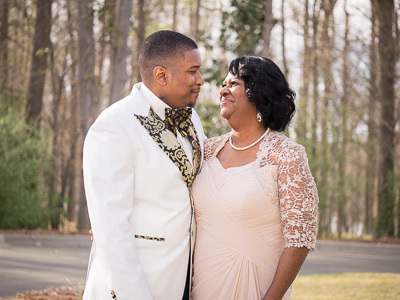 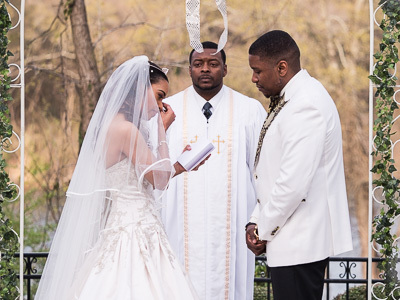 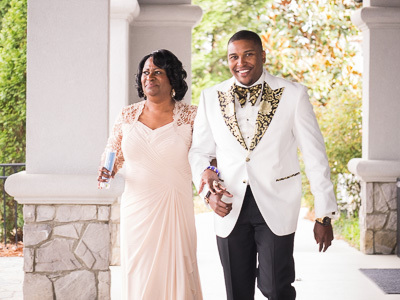 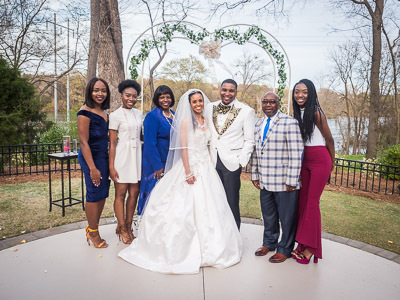 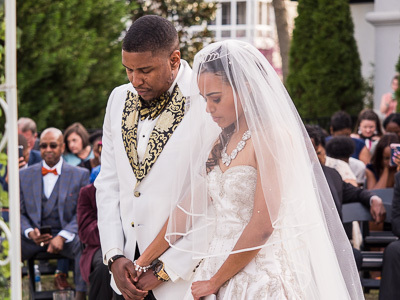 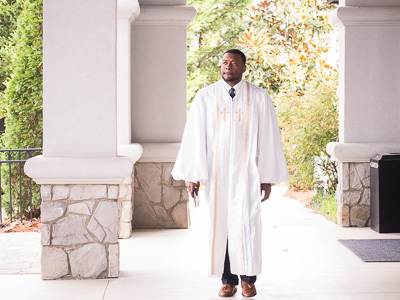 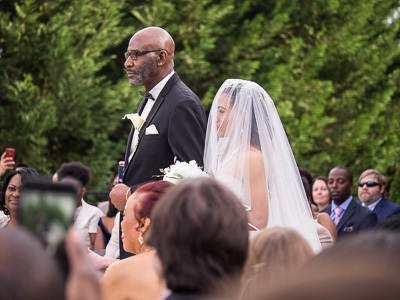 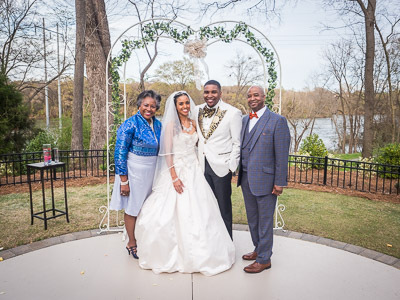 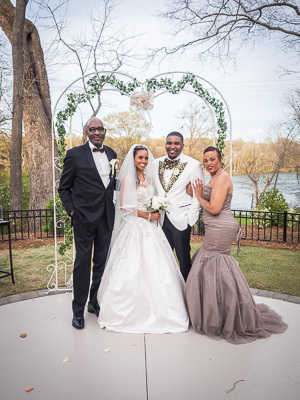 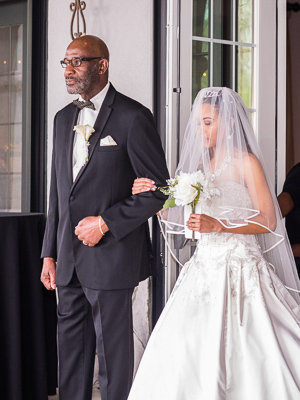 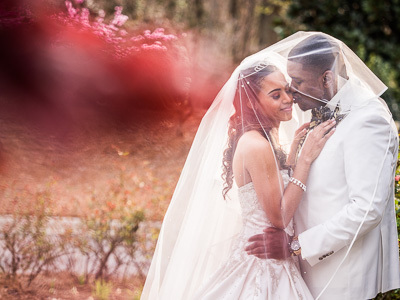 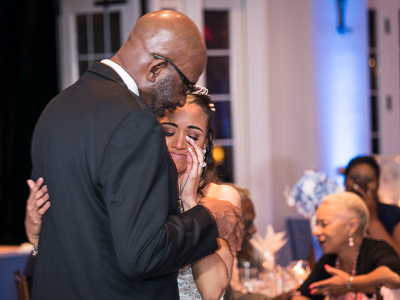 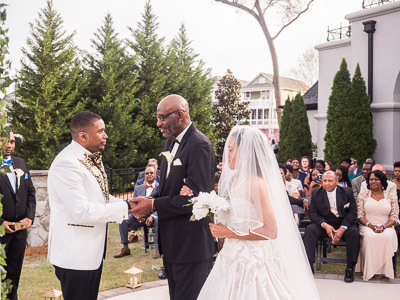 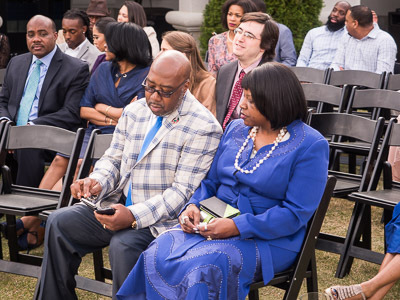 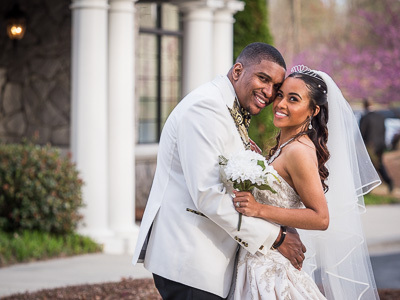 Pastor Dr. Ivory Torrey Thigpen married them in a short, formal service that concentrated on how they have grown in love with one another through Christ. 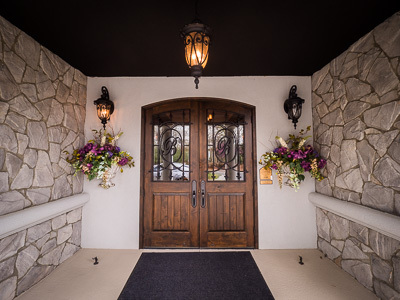 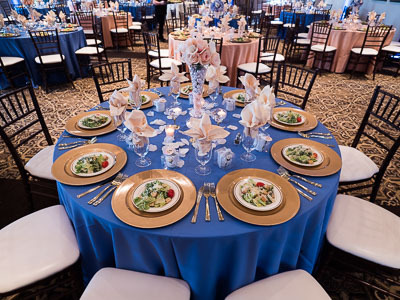 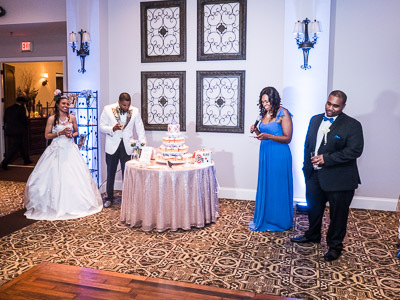 The reception was held at Brakefield at Riverwalk as well for guest convenience. 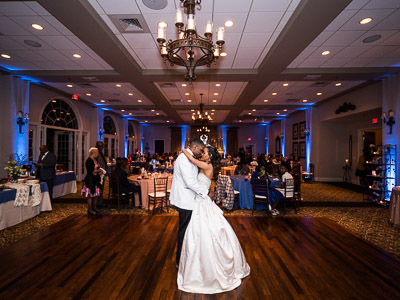 The evening began with cocktail hour so the bride and groom could take pictures with their immediate and extended families. 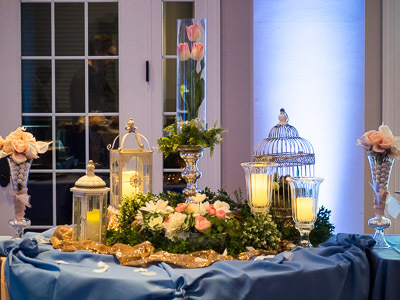 Guests were served chicken and waffles, as well as, barbeque sliders with Hawaiian rolls. 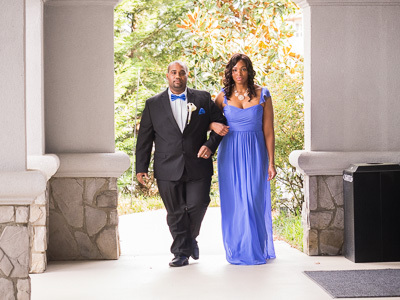 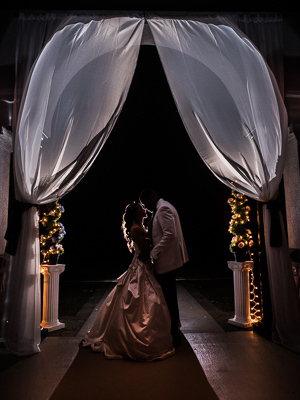 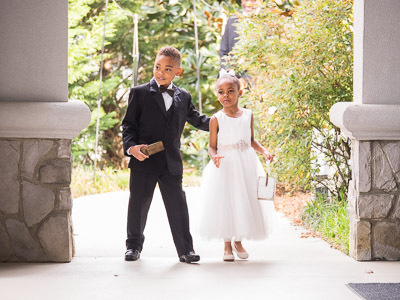 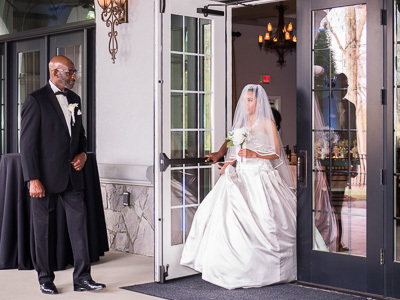 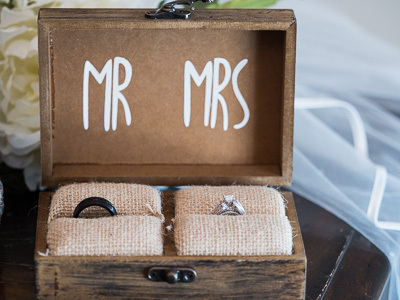 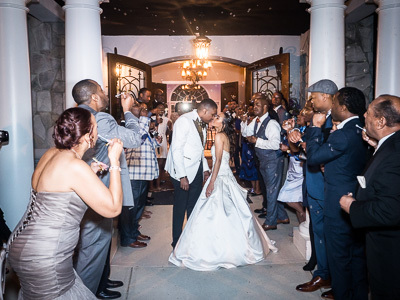 The couple had an elegant entrance and then headed to their Sweetheart table to eat and join their guests. 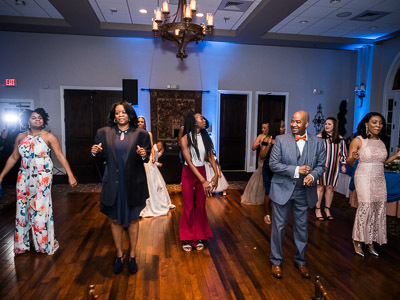 The guests dined around them in a family atmosphere, and were served with either the choice of salmon or lemon pepper chicken that the chef at Waiter’s Choice impeccably prepared. 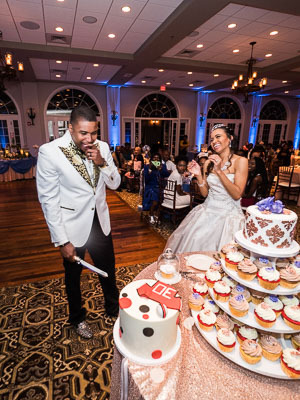 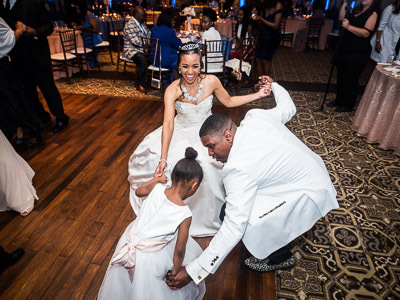 After dinner, DJ Dubb got people groovin' as the bride and groom spoke to all their guests. 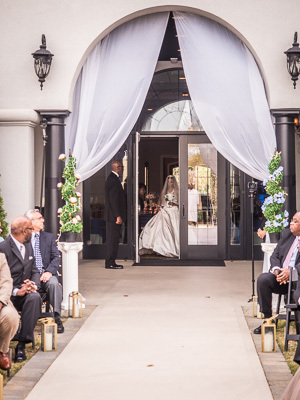 After hours of singing, dancing, and laughing the couple had their grand exit. 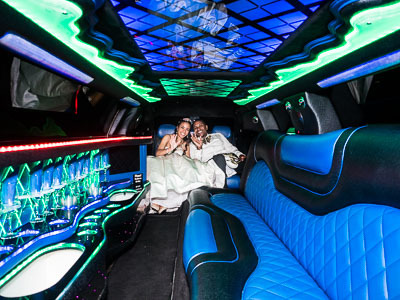 Complete with calla Lilly mini candles for guest favors before a bubble Soul Train tunnel led them to their Chrysler 300 Limousine. 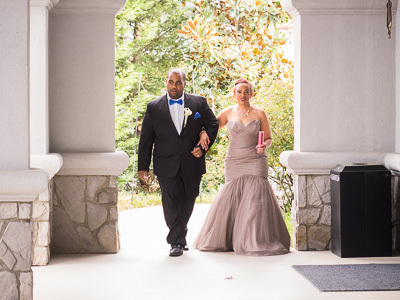 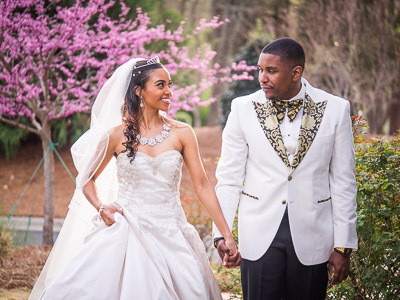 Mica's dress was a signature gown from Carolina Couture. 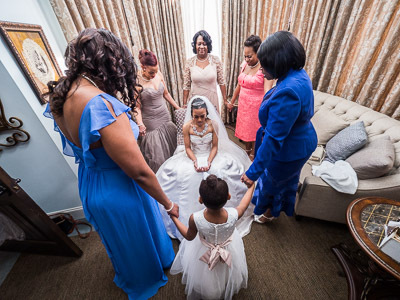 Corrida and Kimmie assisted the Matron of Honor and Mothers of the Bride/Groom in the bridal suite of Hilton Garden Inn. 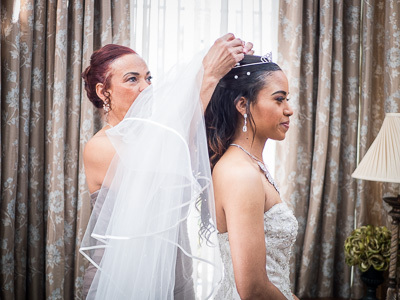 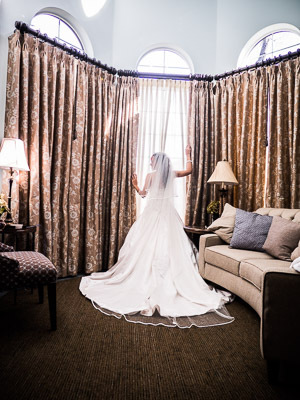 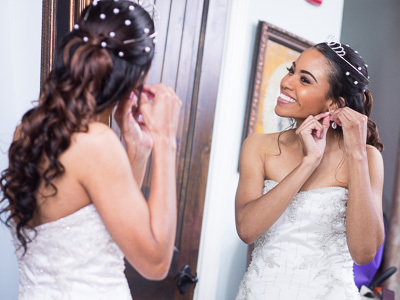 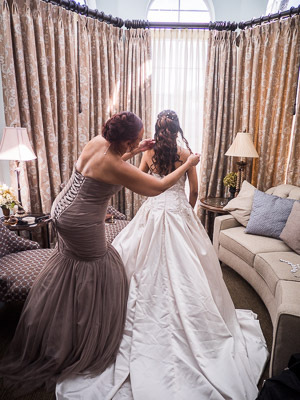 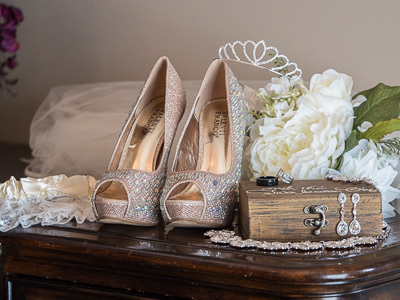 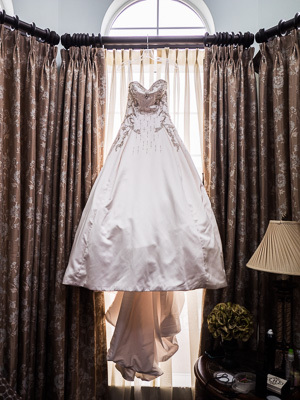 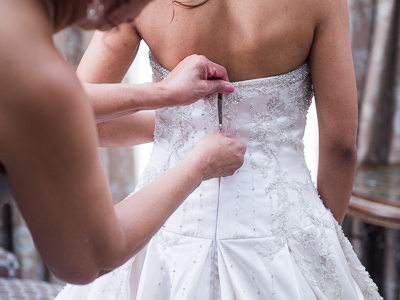 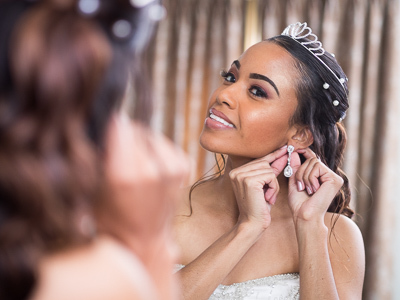 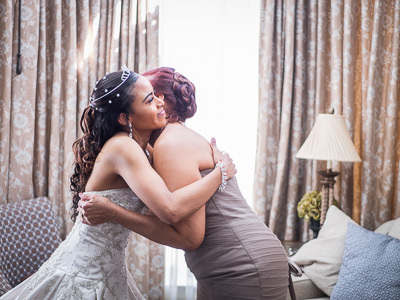 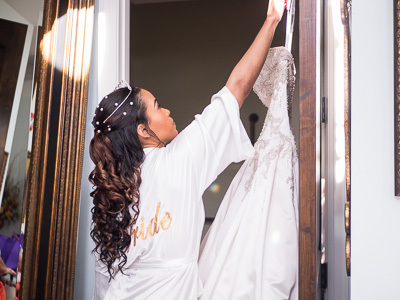 Then, they solely focused on the bride in the bridal suite of Brakefield at Riverwalk. 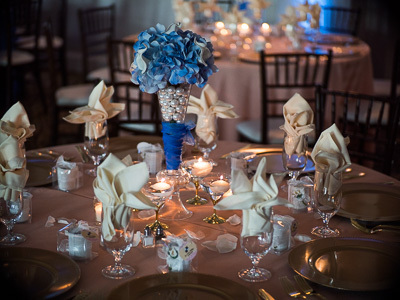 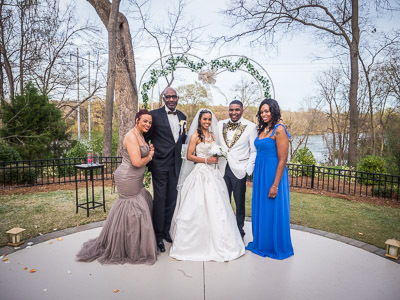 Flower bouquets and centerpieces of hydrangeas, roses, and calla Lilies were designed by the bride Mica Phillips. 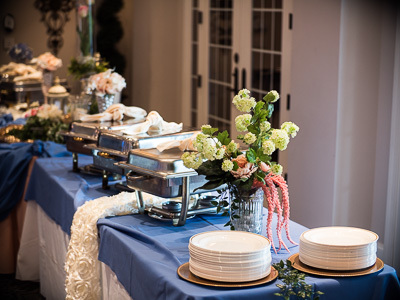 Waiter’s Choice provided the china, food and beverages for the evening. 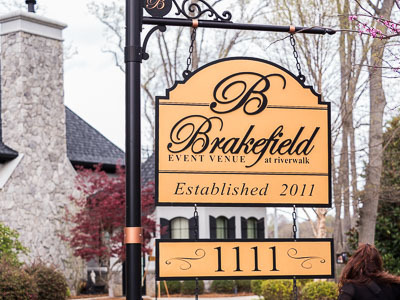 Brakefield at Riverwalk provided the alcohol cash bar. 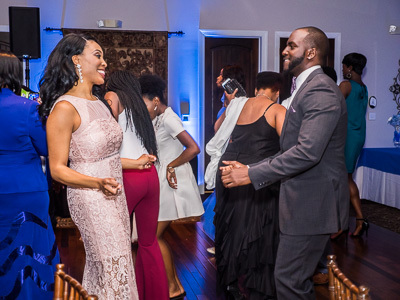 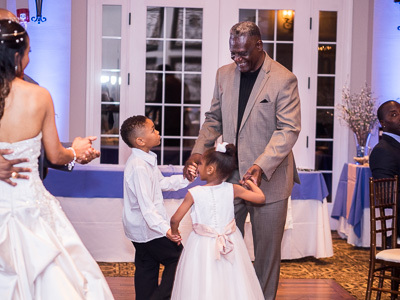 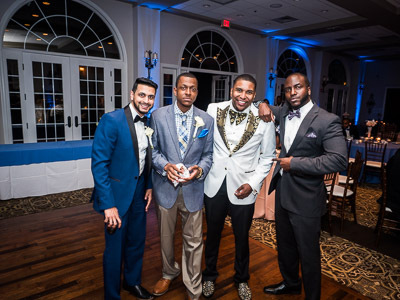 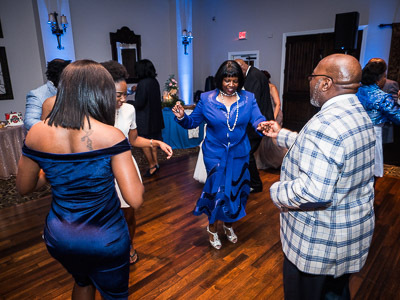 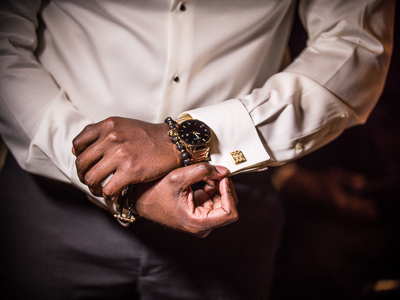 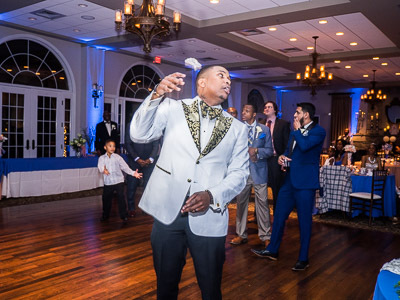 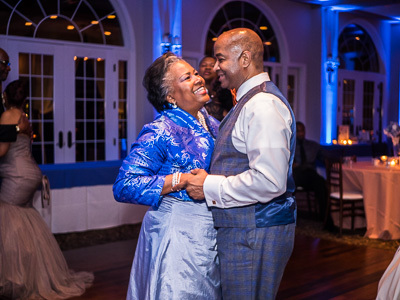 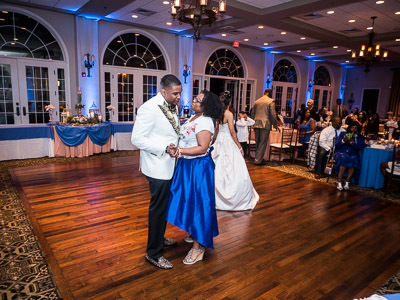 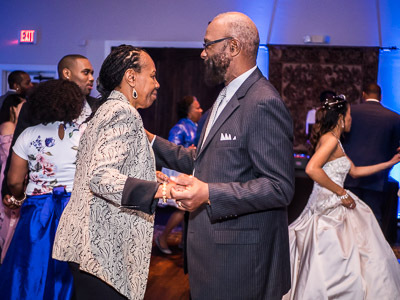 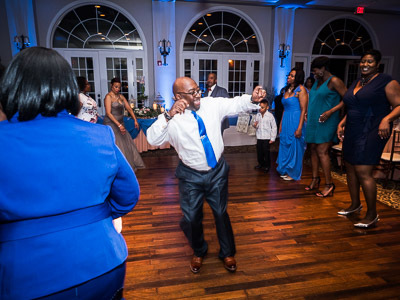 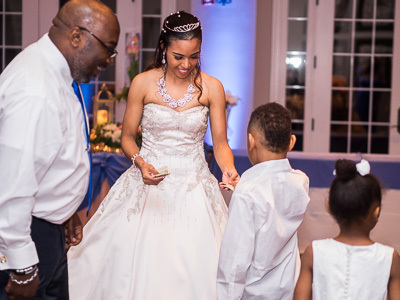 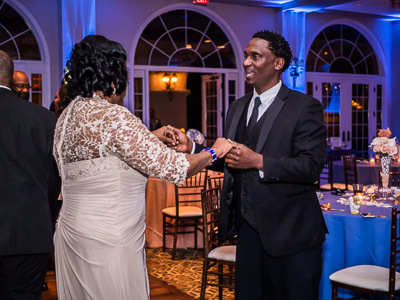 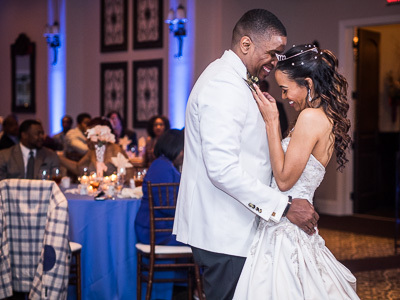 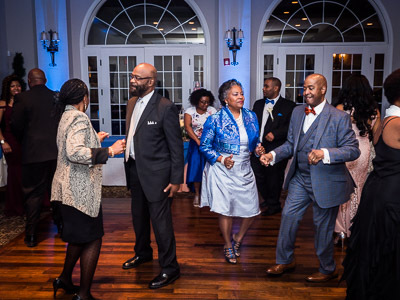 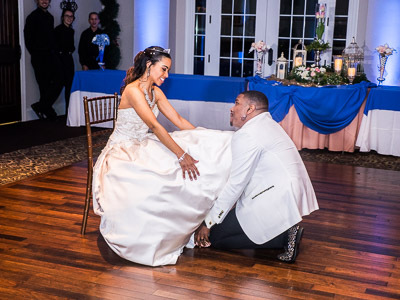 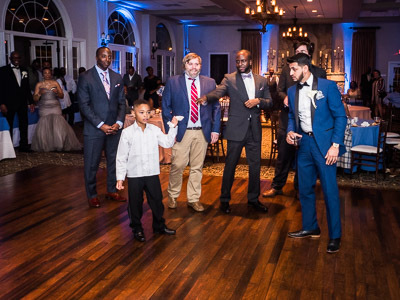 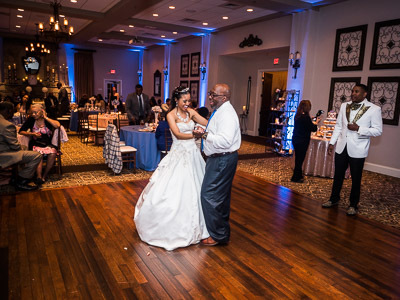 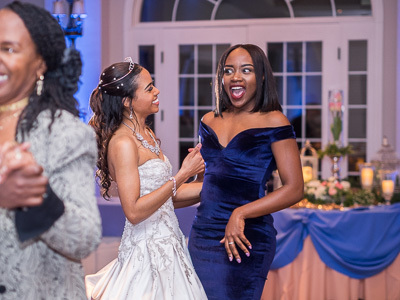 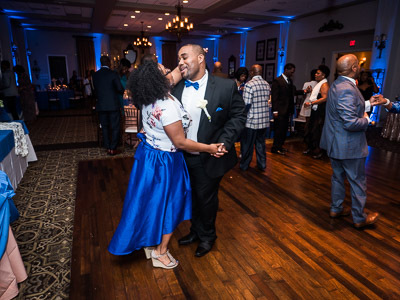 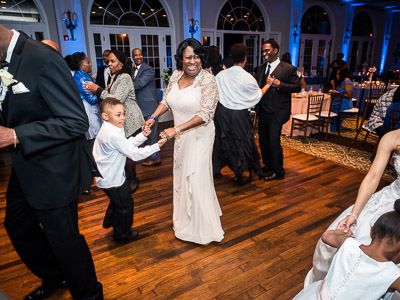 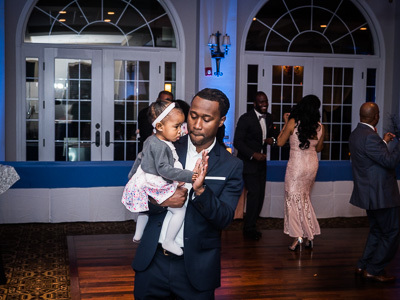 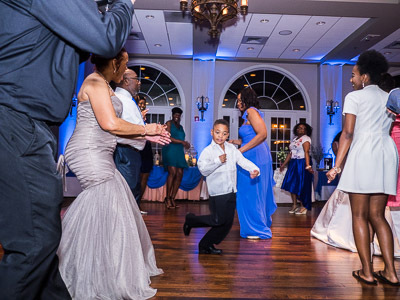 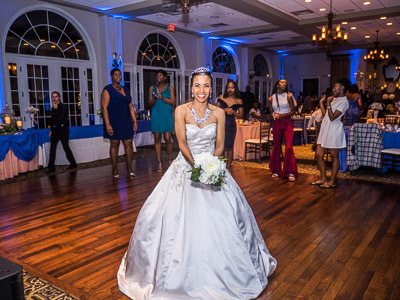 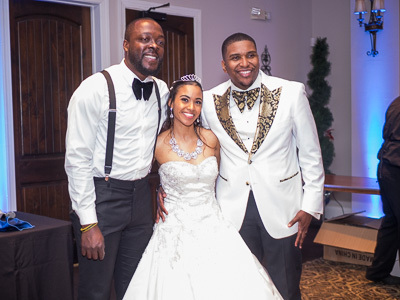 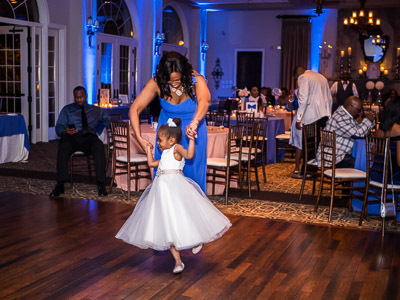 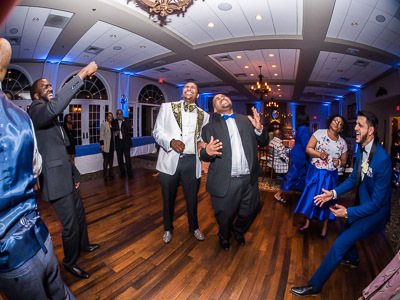 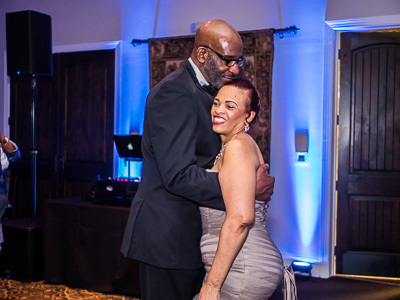 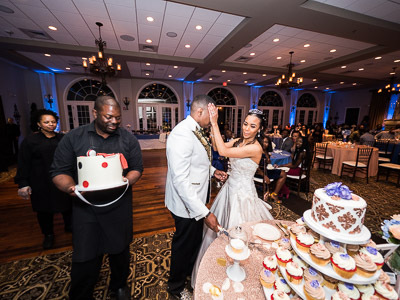 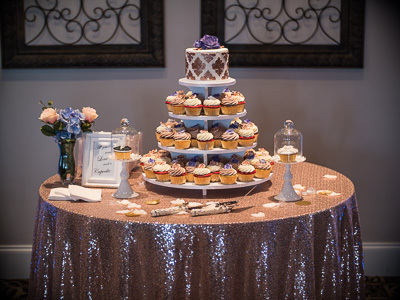 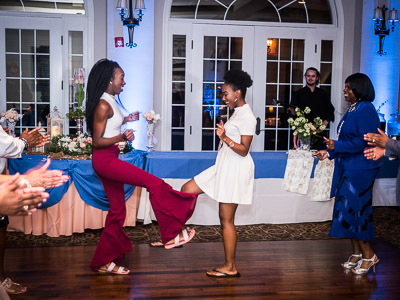 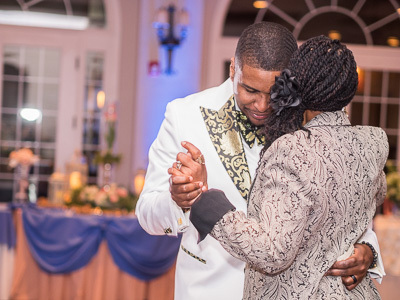 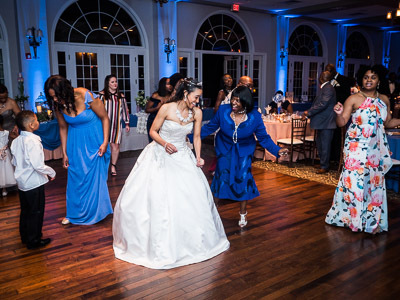 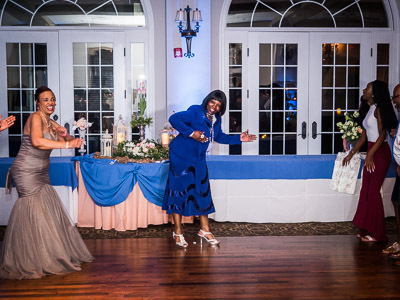 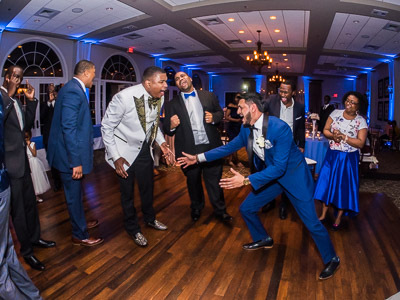 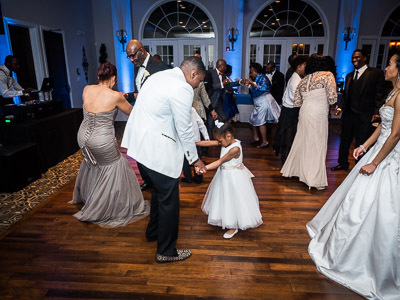 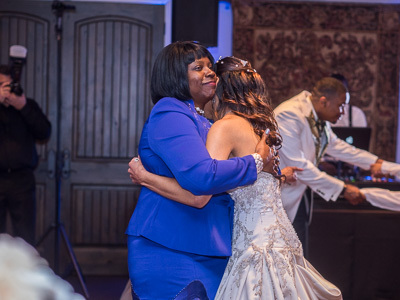 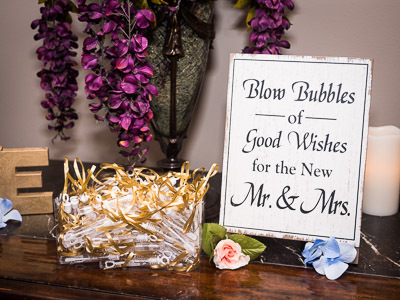 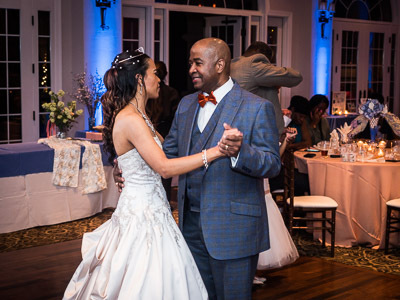 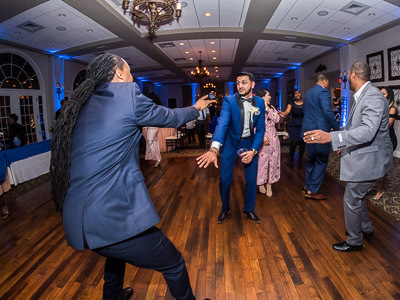 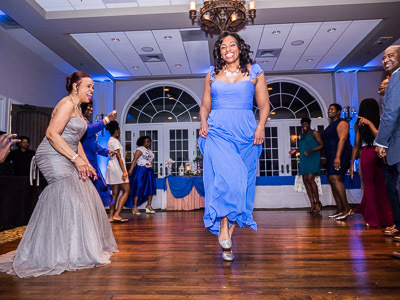 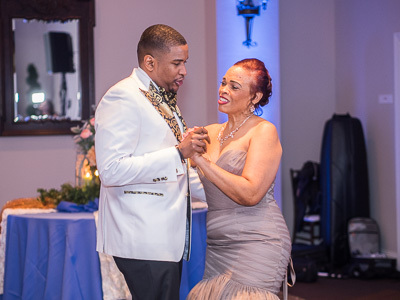 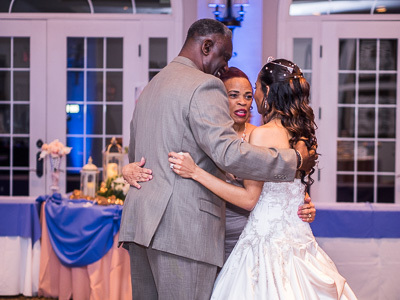 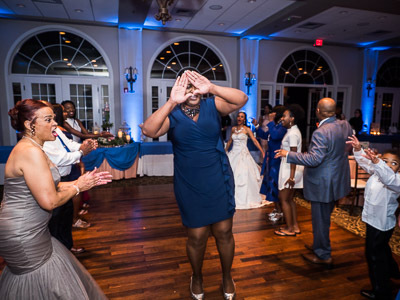 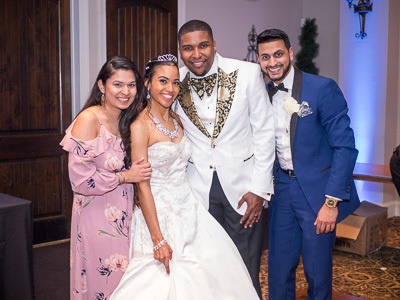 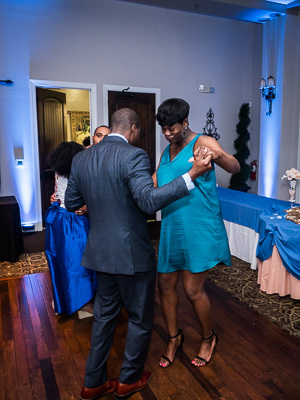 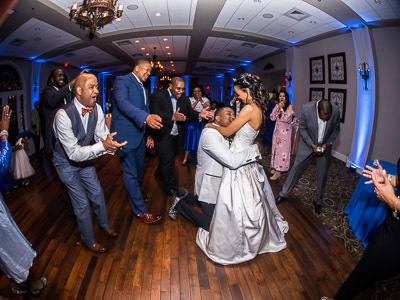 The couple and guests danced the night away to music from DJ Dubb, who provided a mixture of musical selections. 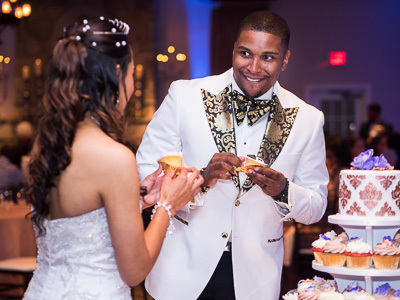 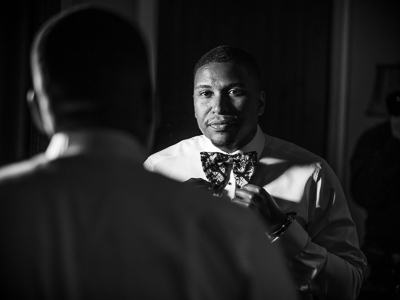 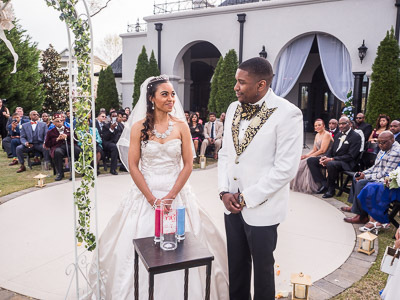 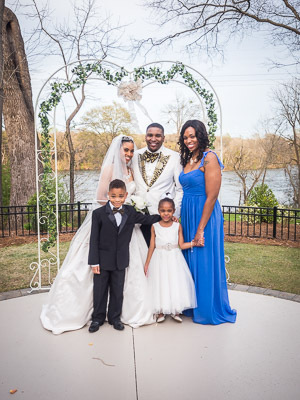 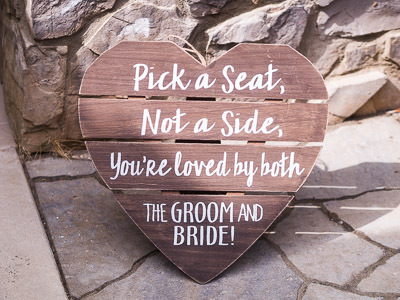 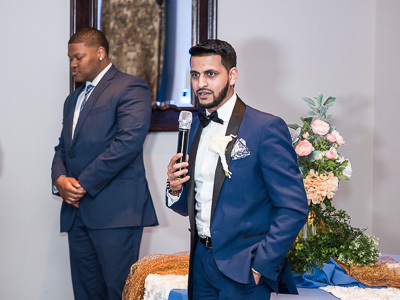 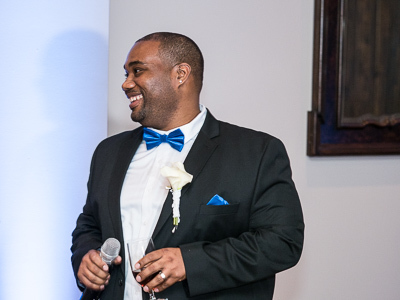 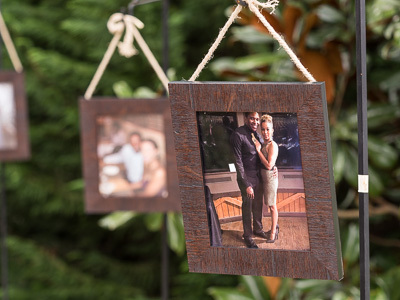 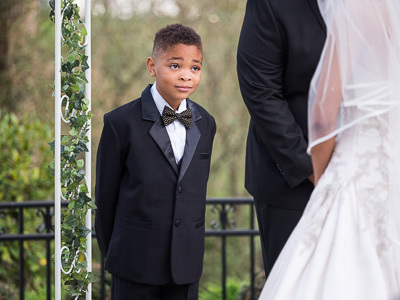 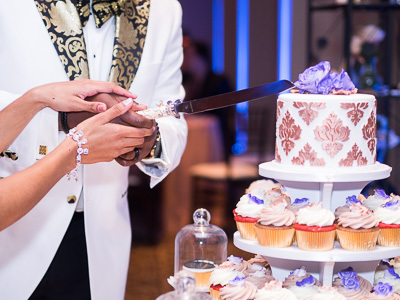 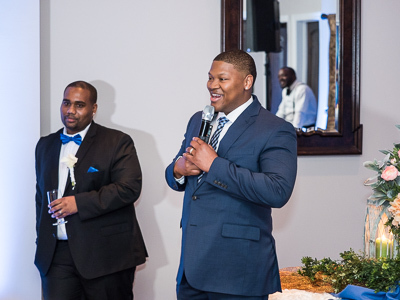 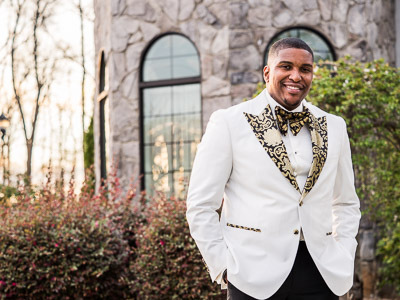 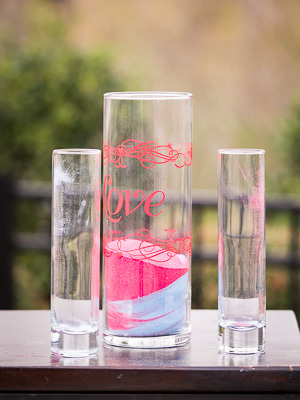 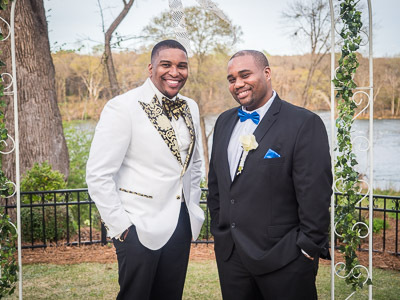 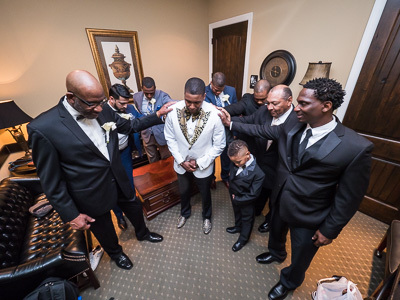 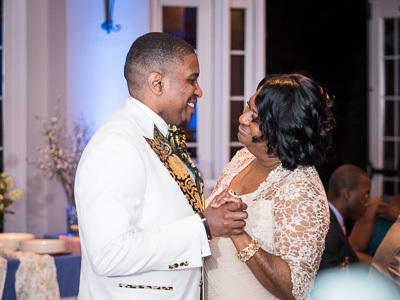 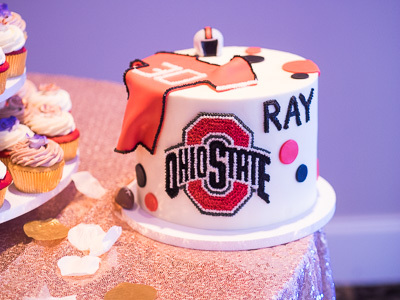 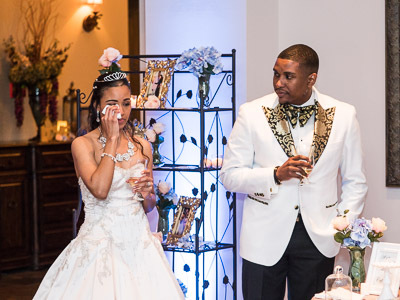 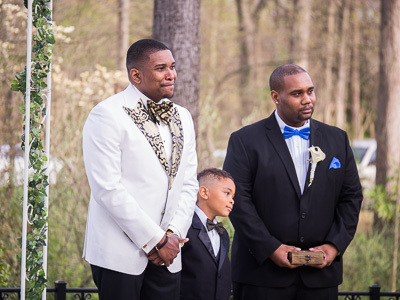 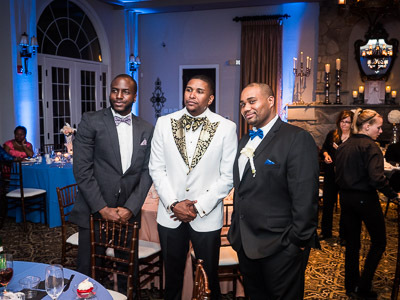 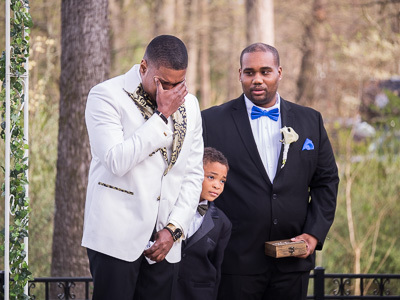 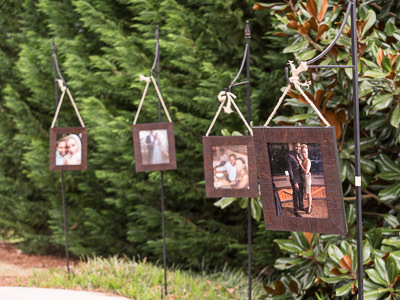 The groom, Ramon Phillips, provided the favors, and the bride planned the wedding’s overall creation. 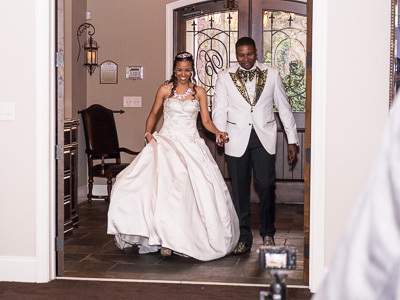 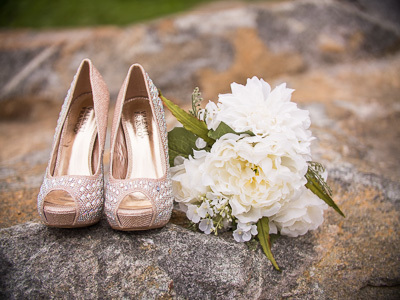 And last, but not least, the couple used Allure Wedding Photography & Video for both photography and videography.